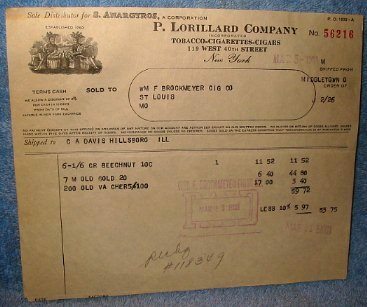 Tobacco Invoice – P. Lorillard Company 1931 Invoice No. 56216. 1/4 inch tear at bottom edge. Light even toning. Was folded once. Fold mark is not prominant. Shipped flat in a sheet protector.